A Special Investigation Panel has recovered 19 police vehicles from former Inspector General of Police, Solomon Arase. 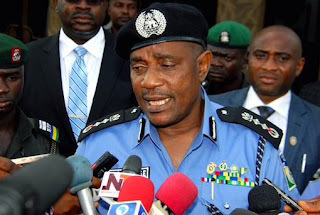 This is just as the Inspector-General of Police, Ibrahim Idris, has called for rigorous investigation into the alleged purchase and distribution of vehicles by his predecessors. This development followed ‎the discovery that retiring officers, including former IGs and Deputy Inspectors-General of Police, were in the habit of appropriating police vehicles for their personal use. Some of the vehicles recovered from Arase include assorted sedans, Sports Utility Vehicles and pick-up vans. The vehicles, it was learnt, were apart from the four vehicles he was entitled to take away with him on retirement, Punch reports. A senior officer, who is familiar with the investigation, said the SIP was still working to recover five additional vehicles from the former police boss. It was learnt that the SIP, headed by Assistant Inspector-General of Police, Ali Amodu, (retd. ), had also recovered a number of police vehicles from other retired DIGs. The recovered vehicles were said to have been distributed to newly promoted Commissioners of Police and AIGs. Arase had earlier denied taking away 24 vehicles when his successor, Idris, made the allegation during an interview with journalists on July 18, 2016, shortly after he assumed office. Arase has denied the allegations of his successor, saying he did not go away with any police vehicle. Arase said all vehicles bought by the police under him were distributed to the state commands and other appropriate units of the Nigeria Police Force.